The title of this blog, of course, is inspired by Samuel Clemens' dba Mark Twain comment: "The report of my death is an exaggeration." (See Wikipedia here.) So too, is any report of the death of quiet disclosure an exaggeration. The world has now turned upside down again. At a meeting of the ABA Tax Section in Washington, D.C. in May, the Chief for the Criminal Investigation Division announced that “quiet disclosures” would no longer be accepted. 1. The disclosure under the new foreign bank account voluntary disclosure initiative requires a noisy disclosure following the procedures established for that initiative. (See the IRS wed page here.) If a taxpayer wants the criminal no-prosecution assurance in writing and the substantial civil tax penalty benefits (as compared to a worst case) that noisy disclosure procedure is required. UBS has established its own web site here, presumably to make sure its spin on the developments gets told. I note, for example, that the documents included with respect to the IRS John Doe summons proceeding that was at the center of the brouhaha are only the UBS - Swiss side of the dispute. The IRS side spelled out in its filings in the John Doe summons case is not presented. Hat tip to the Tax Prof Blog here. The Tax Prof Blog reports today here that the State of Connecticut is requesting the names of persons disclosed to the U.S. under the recent agreements among the U.S., Switzerland and UBS. Get in line brother? Will the assurance of no prosecution by the feds under the IRS Voluntary Disclosure Practice avoid prosecution by the states which certainly an equally compelling interest in their respective fiscs? Today's Tax Notes Today has an article by Lee Sheppard, a noted commentator on the tax law and fashions and movies and other esoterica as segues into her tax law discussions surrounding the foreign bank account mess. In the article, titled, Now What? Dealing with UBS Account Disclosures, 124 Tax Notes 847 (Aug. 31, 2009) , Ms. Sheppard makes a number of points that I thought I would pass on here. Most of the following points probably of most interest to students of Federal Tax Crimes and not to seasoned practitioners. 1. Ms. Sheppard joins what from my perspective is the mainstream in thinking that the U.S. got the short end of the deal in the bargain with the devil (or as I would call it, with the pirates) -- referring to the Swiss Government and its representative pirate, UBS. (Ms. Sheppard graphically refers to Switzerland as the "whorehouse on the edge of town;" her point, is that Switzerland is still out there earning a living with tax evasion still among the services it offers.) While the U.S. certainly got less than it wanted, I disagree that it was all bad or even a defeat for the U.S. See my prior blog here. In typical hyperbolic fashion, Ms. Sheppard calls the deal a "Grubby Deal." This deal does not do anything to help other rich countries deal with their own citizens' tax evasion by means of secret foreign accounts. In typically American unilateral fashion, the agreement would serve to scare American customers away from secret bank accounts while allowing the Swiss to continue selling tax evasion services to rich citizens residing in the rest of the world. Should the agreement be counted as a success if it scares potential customers and destroys the Swiss banking business in the United States? It may have done just that. Ms. Sheppard says that there are two key factors to success for the IRS. First, this particular deal involving UBS must produce a representative number of cases that the U.S. can and will prosecute for maximum publicity / deterrence effect. Second, Switzerland must cooperate similarly (or appear to do so) with respect to other Swiss banks. In this regard, Ms. Sheppard notes that UBS was not the only Swiss bank offering "tax evasion services." Nothing particularly new here. Pirates do have to do something to earn a living. The recent indictments of the two Swiss enablers (I blogged that here) involve another bank. Q52. Are UBS account holders eligible to make a voluntary disclosure under the IRS’s offshore Voluntary Disclosure Practice (VDP) announced on March 23, 2009, and set to expire September 23, 2009? Yes, provided that the UBS account holder is otherwise eligible under the VDP. However, a UBS account holder becomes ineligible to make a voluntary disclosure under the offshore VDP at the time the IRS receives information from any source, including from the Swiss Federal Tax Administration (“SFTA”), UBS, an informant, or otherwise, relating specifically to the account holder's undisclosed foreign accounts or undisclosed foreign entities. As part of the agreement with Switzerland and UBS announced by the IRS and the Department of Justice on August 19, 2009, UBS will be sending notices to account holders indicating that their information may be provided to the IRS under the agreement. If a UBS account holder gets this notification from UBS before September 23rd, this notification will not by itself disqualify the account holder from making a voluntary disclosure under the offshore VDP by the September 23rd deadline. Although many of these notices will not be sent by UBS to account holders until after September 23rd, the September 23rd offshore VDP deadline applies to all UBS account holders even if they have not received a notice by that date. UBS account holders are thus well advised to Get In Line Brother. Persons with foreign bank accounts, particularly Swiss bank accounts in banks other than UBS, should also seriously consider the offer, given the uncertainties of the effects of Switzerland's reinterpretation of its exchange of information obligations under the double tax treaty. A recent Program Manager Technical Assistance (PMTA 2009-122, here) addresses various issues on IRS processing of restitution payments to the underlying taxes, penalties and interest. Although not addressed in this PMTA, a sentencing court cannot order restitution for tax liabilities, penalties and interest unless the defendant contractually agrees to an award of restitution. In our district, the AUSAs insist on this contractual restitution in the plea for the year of conviction plus other years involving relevant conduct. These AUSAs claim that DOJ Tax mandates this contractual restitution, but I have noticed that restitution has not been provided for in many pleas I have seen from other districts, even in cases handled by DOJ Tax personnnel. In any event, if the court does award restitution for the underlying tax, penalties and interest, the PMTA tells the Service what to do with it. Restitution payments should be applied to the civil tax liabilities, including penalties and interest, for the year(s) involved in the criminal case. If an assessment for civil tax liabilities has not been made, the restitution payments should be held in the general fund until an assessment is made and then credited against the taxpayer's civil tax liabilities. When the restitution order does not specify how to apply payments, the Service has discretion to apply the payments to the applicable years in the order that best serves its interest. The Service cannot take administrative collection action to collect the restitution ordered. The Department of Justice through its Financial Litigation Units is responsible for collection and enforcement of the restitution order. The Department of Justice may enforce a judgment imposing restitution in accordance with the practices and procedures for the enforcement of judgments under Federal and State law. If the Service receives an undesignated voluntary payment or an involuntary payment for civil tax liabilities the Service may apply them in the order that best serves its interest. If some of the civil tax liabilities are for a year that was also involved in a criminal tax proceeding, the Service may decide that it is in its best interest to apply those payments first to the year(s) not involved in the criminal tax proceeding. If the amount of the restitution has not been fully paid when the Service determines that the amount of the civil tax liabilities are less than the restitution, the government should notify the court and move that it make appropriate modifications to the order. If the restitution is fully paid, then the excess is an overpayment that can be applied against the taxpayer's other outstanding tax liabilities and any balance refunded, after a claim for refund is filed. If no claim for refund is filed within the applicable period of limitations, then the excess can be moved to the general fund. Further ratcheting up the ante, DOJ obtained the indictment of a Swiss Banker and a Swiss Lawyer. The DOJ promo piece on the indictment is here. The WSJ Law Blog comment (8/21/09) on this case may be viewed here. Some pundits are already speculating that the deal the U.S. got was not so good. At the surface, it does not look all that good. The U.S. wanted 52,000 names and is getting 4,450 (approximately) in addition to those it already received (perhaps 250). That's less than 10% in of the claimed UBS account universe. Now let's scratch the surface. The agreements as released do not state the criteria that will be used to identify the 4,450 (approximate) that UBS will disclose. The criteria are set forth in an annex to the agreement that will be release in 90 days, well after the current voluntary disclosure initiative has closed (on September 23, 2009). Without the criteria, UBS' U.S. account holders will not know whether they have drawn the black bean. Each UBS U.S. depositor who has not already joined in the IRS' voluntary disclosure program will not have certainty that his name and account(s) will not be picked. It is true, that the letter UBS is required to use to notify the account holders who draw the black bean will notify the account holders that they can still get in the program. But, the program only lasts through September 23, 2009, and it appears that the picking of names will extend beyond that date. IRS Commissioner Shulman has confirmed that the voluntary disclosure program will be open only for clients who receive UBS letter notices prior to the September deadline. The IRS will receive information on accounts of various amounts and types, including bank-only accounts, custody accounts in which securities or other investment assets were held and offshore company nominee accounts through which an individual indirectly held beneficial ownership in the accounts. Still, you can be sure that the IRS will design the criteria to pick up the big abusers, sort of like its DIF sampling techniques for auditing (except probably much more focused). So, perhaps -- and I too speculate here -- on a dollar tax-evaded weighting, perhaps the IRS will pick up well in excess of 50% of the loot on the table simply by careful selection of the criteria. This careful selection is implied by the indication that some $18 billion is involved under the criteria selecting the 4,450 accounts. The average account, therefore, is over $4 million. This does not indicate that there was a single selection criteria of a threshold dollar amount because there are undoubtedly other criteria (use of entities to further obscure the trail). And, besides criteria designed to identify the worst abusers, the IRS may also want to at least hold out the possibility that there will be some random sampling, so that those with direct accounts below whatever the general dollar threshold is (say $2,000,000) cannot rest easy and will still have an incentive to get into the voluntary disclosure program. In this regard, the criteria will not be released for 90 days, well after the voluntary disclosure program has ended. Also, an essential part of the voluntary disclosure program and the names that get targeted by this round of UBS turnovers will be to learn the identities of the as many of the U.S. taxpayers' enablers that the U.S. can then bring to justice -- at least the most abusive of the lot. There will be lots of tentacles into U.S. lawyers, financial advisors and others who, like ordinary tax shelter promoters, raked off their share of the taxes that should have been paid to the Government. My gut tells me that many of these enablers are probably not resting easy, particularly because there is no voluntary disclosure for them that will negate criminal prosecution or mitigate any civil penalties that might apply. Moreover, if the U.S. gets to these enablers, the Government might sweep up many more U.S. taxpayers who were assisted by these enablers. Finally, and perhaps most importantly in the long run, there is a breach in the dam because the Swiss Government has decided that its double tax treaty is more flexible than it had imagined before. The strict definition of tax fraud to permit disclosure under the treaties is being relaxed. And, the agreements contemplate that the U.S. will be able to make similar exchange of information requests on the basis of similar criteria against other Swiss banks involved in UBS-type shenanigans (probably all of them to some degree or another). And, as the Swiss feel similar pressures from other organized and powerful countries, its wall of secrecy is likely to erode even more. So, bottom line, I think these developments are good for the U.S. Large goals often are achieved in increments. And this particular increment is not just incremental -- it is a big jump. b. Acts of continued and serious tax offense for which the Swiss Confederation may obtain information under its laws and practices (as described in paragraph 10, subparagraph 2, third sentence of the Protocol), which based on the legal interpretation of the Contracting Parties includes cases where (i) the US-domiciled taxpayer has failed to provide a Form W-9[ii] for a period of at least 3 years (including at least 1 year covered by the request) and (ii) the UBS account generated revenues of more than CHF 100,000 on average per annum for any 3-year period that includes at least 1 year covered by the request. For the purpose of this analysis, revenues are defined as gross income (interest and dividends) and capital gains (which for the purpose of assessing the merits of this administrative information request are calculated as 50% of the gross sales proceeds generated by the accounts during the relevant period). b. Acts of continued and serious tax offense for which the Swiss Confederation may obtain information under its laws and practices (as described in paragraph 10, subparagraph 2, third sentence of the Protocol), which based on the legal interpretation of the Contracting Parties includes cases where the US person failed to prove upon notification by the Swiss Federal Tax Administration that the person has met his or her statutory tax reporting requirements in respect of their interests in such offshore company accounts (i.e., by providing consent to the SFTA to request copies of the taxpayer’s FBAR returns from the IRS for the relevant years). Absent such confirmation, the Swiss Federal Tax Administration would grant information exchange where (i) the offshore company account has been in existence over a prolonged period of time (i.e., at least 3 years including one year covered by the request), and (ii) generated revenues of more than CHF 100’000 on average per annum for any 3-year period that includes at least 1 year covered by the request. For the purpose of this analysis, revenues are defined as gross income (interest and dividends) and capital gains (which for the purpose of assessing the merits of this administrative information request are calculated as 50% of the gross sales proceeds generated by the accounts during the relevant period). [i] Such “scheme of lies” may exist where, based on the Bank’s records, beneficial owners (i) used false documents; (ii) engaged in a fact pattern that has been set out in the “hypothetical case studies” in the appendix to the Mutual Agreement concerning Art. 26 of the Tax Treaty (for example, by using related entities or persons as conduits or nominees to repatriate or otherwise transfer funds in the offshore accounts); or (iii) used calling cards to disguise the source of trading. These examples are not exhaustive, and depending on the applicable facts and circumstances, certain further activities may be considered by the SFTA as a “scheme of lies”. [ii] For “banking deposit accounts” based on the Contracting Parties’ legal interpretation a reasonable suspicion for such tax offence would be met if the US persons failed to prove upon notification by the Swiss Federal Tax Administration that they have met their statutory tax reporting requirements in respect of their interests in such accounts (i.e., by providing consent to the SFTA to request copies of the taxpayer’s FBAR returns from the IRS for the relevant years). [iii] Such “scheme of lies“ may exist where the Bank’s records show that beneficial owners continued to direct and control, in full or in part, the management and disposition of the assets held in the offshore company account or otherwise disregarded the formalities or substance of the purported corporate ownership (i.e., the offshore corporation functioned as nominee, sham entity or alter ego of the US beneficial owner) by: (i) making investment decisions contrary to the representations made in the account documentation or in respect to the tax forms submitted to the IRS and the Bank; (ii) using calling cards / special mobile phones to disguise the source of trading; (iii) using debit or credit cards to enable them to deceptively repatriate or otherwise transfer funds for the payment of personal expenses or for making routine payments of credit card invoices for personal expenses using assets in the offshore company account; (iv) conducting wire transfer activity or other payments from the offshore company’s account to accounts in the United States or elsewhere that were held or controlled by the US beneficial owner or a related party with a view to disguising the true source of the person originating such wire transfer payments; (v) using related entities or persons as conduits or nominees to repatriate or otherwise transfer funds in the offshore company’s account; or (vi) obtaining “loans” to the US beneficial owner or a related party directly from, secured by, or paid by assets in the offshore company’s account. These examples are not exhaustive, and depending on the applicable facts and circumstances, certain further activities may be considered by the SFTA as a “scheme of lies”. • The IRS will make the requests pursuant to the double tax treaty between the U.S. and Switzerland. • Apparently the requests will be by categories that UBS has estimated will produce about 4,450 names over a period of about a year. • The account holder will be notified of UBS's intent to deliver the information and documents requested and will have the right to pursue relief from the Swiss authorities. Given the nature of the agreements, however, pursuing this relief might be tilting at windmills, but could slow the actual turnover down somewhat. • The account holders will also be notified that, should they pursue this relief, U.S. law requires that they must notify the United States that they are doing so. So, provided this group follows the law, then they will self-identify themselves to the IRS. Under the terms of the voluntary disclosure initiative, as explained by the IRS in subsequent guidance, there is still an opportunity for you to make a voluntary disclosure, but that opportunity will be lost upon the provision of your account data to the IRS in response to the treaty request. Accordingly, if you are considering making a voluntary disclosure, it is important for you to do so now. The IRS has stated that a voluntary disclosure will be considered timely as soon as a taxpayer identifies himself and expresses an intent to disclose, even if the taxpayer has not yet completed amended or delinquent returns. For details and further information on this offshore voluntary disclosure practice or the more general voluntary disclosure practice, please visit the IRS website, including at: http://www.irs.gov/newsroom/article/0,,id=210027,00.html. Get in Line Brother and Sister. Note also the links to the right of this blog to other IRS resources on the voluntary disclosure program. Readers should also note that the IRS revises the FAQs relating to the voluntary disclosure program, so it is worth checking back from time to time. The FAQs has a list of the changes made on the periodic revisions at the top of the FAQs. The Wall Street Journal has an article this morning here titled More Banks in Europe Identified in Tax Probe. The Swiss banks other than UBS mentioned in the article are: Credit Suisse Group AG, Julius Baer Holding AG, Zürcher Kantonalbank and Union Bancaire Privée, known as UBP. Early on, Justice Department prosecutors viewed UBS as a "stalking horse" case, which they could use to prod other banks to drop their business of helping rich Americans hide income from the IRS, according to people close to the case. In the process, government officials hoped they could induce alleged tax evaders to come forward to pay their taxes and provide information about bankers, accountants and others who helped them set up their offshore accounts. Lawyers following the UBS settlement now are watching to see whether the settlement establishes a blueprint for how the IRS can obtain information in the future from Swiss banks. 9. Ultimately, based upon information obtained from UBS as part of the deferred prosecution agreement, the United States is criminally investigating more than 150 Americans across the country who are believed to have concealed income and assets at UBS, in violation of United States law. To date, three such American clients have pleaded guilty to filing false tax returns that failed to disclose the existence of their UBS Switzerland bank account and report the income associated with said account on their United States Individual Tax Return, Form 1040 (United States v. Robert Moran, Case No.09-60089-CR-COHN, United States v. Steven Michael Rubinstein, Case No. 09-60166-CR-COOKE, United States v. Jeffrey Chernick, Case No. 09-60182-CR-COHN). A fourth defendant, John McCarthy, has been charged in the Central District of California with willfully failing to file with the Department of Treasury a Report of Foreign Bank and Financial Accounts (Form TD F 90-22.1 “FBAR”) that would have disclosed his interest in an account at UBS in Switzerland (United States v. John McCarthy, Case No. CR09-00784). Note to readers, the McCarthy case actually pled last week, but presumably this document filed yesterday may have been prepared to late too incorporate that information. I have discussed the McCarthy case in three earlier blogs. The influential OECD has issued a report, called a Background Information Brief, titled Overview of the OECD's work on Countering International Tax Evasion, dated 8/14/09. The report can be viewed here. The report chronicles the OECD's continuing efforts to convince member and non-member countries that transparency through sharing tax-related information is in their interests. The data in the report probably is not useful or particularly enlightening for most U.S. taxpayers, even those keenly interested in hiding their assets and income from the IRS. The report, however, should be read by students interested in this area and by advisors to those U.S. taxpayers because the trend is decidedly against those jurisdictions that offer safe and tax-secret repositories of financial resources. This will be my last planned foray into the McCarthy indictment. 1. Civil Taxes, Penalties and Interest. McCarthy agrees to pay the tax, interest and civil fraud penalty on the tax on "the net income on all funds held in foreign bank accounts" for calendar years 2003-2007. He had not yet filed his 2008 tax return, so presumably he will report that correctly and not be subject to any penalty. The amount of tax and thus resulting interest and fraud penalty is not stated, so this promise to pay apparently does permit him to contest the amount of tax on which interest and civil fraud penalty will be based. Note that this agreement assumes other foreign accounts used for tax evasion; by contrast, his sentencing factors are designed to consider only the UBS account disclosed by UBS. He further agrees to cooperate in making the appropriate calculations. The settlement is basically the same as the current voluntary disclosure initiative, except particpants in the initiative pay a 20% accuracy related penalty rather than the 75% fraud penalty. 2. FBAR Penalty. McCarthy agrees to a single FBAR penalty of 50% in the one identified UBS account for the highest amount year during the period from 2003-2008. Why are the other accounts left out of this penalty? He did after all admit willfulness in failing to file them. Note, however, that this settlement is consistent with the current voluntary disclosure initiative, except that the penalty for that single year is 50% rather than 20% as is offered in the voluntary initiative, but the 20% applies to all foreign accounts whereas McCarthy's deal is 50% of a single account. Real comparisons to the financial cost of the current iniative therefore cannot be made because the plea documents do not provide the necessary information. 1. Grand jury matters. The defendant agrees to "give up any and all objections that could be asserted" to the IRS about the IRS recieving "materials or information obtained during the criminal investigation of this matter, include materials and information obtained through the grand jury process." I have blogged facets this issue here. So, I summarily note here, that the agreement is a recognition that these materials were not obtained in an IRS investigation because the IRS can share with other IRS components the fruits of its investigation without any such waiver from the defendant (or taxpayer). This agreement is really an attempt by the Government to end run FRCrP Rule 6(e) which imposes grand jury secrecy. The agreement seems to treat Rule 6(e) as a right that the person to whom the materials relate can waive. My understanding is that the rationale of Rule 6(e) sweeps broader than that and goes to the heart of the grand jury system to keep such matters secret until released in a proper way. The proper way grand jury material gets released is in the courtroom, a public forum, pursuant to a proper proceeding or by a Rule 6(e) order. Because of the plea agreement, there is no public proceeding in which all of these documents will be introduced and thus available to the IRS. (I suppose the IRS could force them into the public record in a sentencing hearing proceeding about the tax loss number and, perhaps, about the proper Section Two Part S calculations.) And, a Rule 6(e) order for the release to the IRS for civil tax purposes is expressly prohibited by Supreme Court authority. (I guess the IRS might be able to thread that needle by having the defendant agree to contractual restitution for these amounts and seeing if the court would have some type of public proceeding to permit it to dump the documents into the public record, but that would be too blatant an end-run around Rule 6(e).) I have had this genre of battle with an AUSA before who requested a similar waiver. I told him that my client would give it, but I did not think a waiver really solved his 6(e) problem. I think he agreed with my analysis because he then backed off the request and found another way to get around 6(e) -- by delivering all the documents back to the defendant whereupon the IRS had access to them through its usual processes. The solution may not be available in the McCarthy case because the documents are probably not the defendant's documents. The IRS would have to release them to UBS and whether or not UBS would then have an incentive -- either by compulsory process or otherwise -- to give them over to the IRS civil division is unknown. However, the agreement could have required McCarthy to request these documents from UBS and then turn them over to the IRS. The point I am making at too much length is that the Government simply solved the problem in the wrong way. 2. Restitution? The plea states that "Defendant understands that the Court may order defendant to pay any additional taxes, interest and penalties that defendant owes to the United States and may order defendant to pay any additional fines that defendant owes to the United States." Plea ¶ 5. The plea cites no authority for the taxes, penalties and interest reimbursement, and I am aware of no authority for it unless the defendant agrees to contractual restitution which would, then, permit court enforcement of the contract. In this regard, independent of contractual restitution, restitution is permitted only for the crime of conviction (tax crimes is not one, but the crime of conviction is not a tax crime). The crime of conviction is the failure to file an information report, and there is no dollar harm to the United States from failure to file an information report. Of course, the IRS does have the full array of tax determination, assessment and collection tools for any tax, interest and penalties. I continue my discussion of the McCarthy UBS related plea. All installments of this discussion may be reviewed here. This blog discusses the Sentencing Guidelines calculations which, under Booker, must be considered although not mandatory. 1. Alternative Guidelines Regimes - Monetary Reporting or Tax? a. The Monetary Reporting Calculations. The starting point under Chapter Two is Part S, §2S1.3. Following the pattern of Chapter Two, this section provides a Base Offense Level and adjustments for Specific Offense Characteristics. The Base Offense Level is determined under §2S1.3(a)(2) providing for a level of 6 plus the additional levels from §2B1.1 dealing with theft loss but using the "value of the funds" instead of the loss. In the case of the FBAR, the value of the funds would be the amount reportable on the FBAR -- i.e., the highest amount in the account during the year. The calculation is made for the year of conviction and all relevant conduct (a Guidelines concept that basically includes related activity whether charged or uncharged, convicted or acquitted or even outside the criminal statute of limitations). So, presumably, since McCarthy admitted willful failure to file FBARs for multiple years, the aggregate for all years for all foreign accounts would be used for the §2B1.1 calculation. The plea documents do not provide the information from which the Base Offense Level calculation can be made. With the inclusion of all years, however, the Base Offense Level might get up pretty high. After determination of the Base Offense Level, §2S1.3 provides Specific Offense Characteristics for adjustments to the Base Offense Level. The relevant Characteristics is §2S1.3(b)(2) which, in pertinent part, provides a 2 level increase if the conviction offense was “part of a pattern of unlawful activity involving more than $100,000 in a 12-month period.” I believe that that calculation will include FBAR reporting amount for the offense year of conviction and the years for which the FBAR willful failure to file was admitted even though not charged. Possibly also, it might include income tax loss (i.e., the tax loss stipulation (discussed below) and the agreement to a civil fraud penalty should suffice to be a tax loss admission under the preponderance of evidence standard for sentencing purposes). So, I think that a two level increase would apply if the amounts involved more than $100,000 as they almost certainly did for the FBAR violations. (Note if those nonconviction items were omitted from the calculation as not constituting a pattern of unlawful activity, McCarthy might qualify for a reduction of the offense level to 6. § 2S1(b)(3).) As noted, I cannot provide the calculations for the offense level because the plea documents do not provide the amounts that would permit calculation of the Base Offense Level. b. The Tax Crimes Calculations. 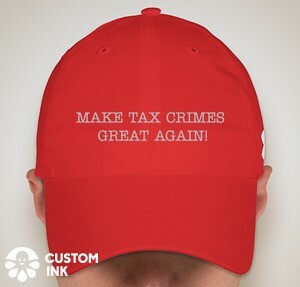 Notwithstanding the foregoing, if the tax crimes calculations would produce a higher offense level, then the tax crimes calculations apply. § 2S1.3(c). The pertinent tax crime calculations are made under Chapter Two, Part T, and specifically under § 2T1.1. The plea agreement assumes that the tax crimes calculations will be the applicable calculations. See e.g., the agreement as to tax loss in plea par. 12 specifically referencing §2S1.3(c). As often occurs in tax pleas, the parties try to pre-empt the sentencing factors, including tax loss, in the plea agreement. The parties stipulated to a tax loss ($200,000 - $400,000) which produces a Base Offense Level of 18 and then stipulated a Specific Offense Characteristic of “sophisticated means” requiring a 2 level increase. See §2T1.1(a) and (b). So the offense level coming out of Chapter 2 is 20. The parties then provide for the standard acceptance of responsibility reduction (2 if the offense level is 15 or less and 3 if, as indicated here, more than 15), so the indicated offense level is 17 considering only these matters. The plea agreement suggests that the offense level of 17 is what the parties contemplate / hope for. (See e.g., defendants’ waiver of appeal right so long the Court determines an offense level of 17 or below.) Level 17 indicates a Guidelines range of 24-30 months with a criminal history of I. Of course, the parties stipulations as to the factors are not binding upon the probation office or the sentencing court, but (i) it looks like 24-30 months is the Guidelines range the parties expect and, if the court sentences within the indicated range, it is common in tax cases to go to the lower end of the range and (ii) the court might even vary below the range upon a strong showing. 2. The Tax Loss Agreement. a. Tax Loss: The relevant actual, probable, or intended tax loss under Section 2Tl.l of the Sentencing Guidelines resulting from the offense committed in this case and all relevant conduct is the tax loss associated with funds deposited into the COGS Eenterprises Ltd. (COGS) account at UBS AG that was disclosed to the U. S. Government pursuant to the Deferred Prosecution Agreement with UES AG, plus the tax loss on the net income earned on those funds for the years 2003 through 2007. The parties agree that the tax loss is more than $200,000, but less than $400,000 (exclusive of interest and penalties) for an Offense Level of 18 . See U.S. S. G. §§ 2S1.3(c), 2T1. 1, and 2T4. 1 (G). The tax loss agreement is curious because it limits the tax loss to tax attributable to the UBS account disclosed to the U.S. Government pursuant to the DPA. Why would it not at least include all similar tax loss for all foreign accounts. The statement of facts states that money was transferred into "UBS Accounts" (plural) and that defendant was discouraged from transferring money out of his "UBS Swiss bank accounts" (plural). Further, the statement of facts states that those transfers came from a Caymans bank account that defendant controlled. (In the next sentence, the statement refers to a UBS Caymans banking relationship, but the UBS identifier is missing from the statement as to the source of the transferred funds.) So why does the agreement attempt to limit the tax loss just to that related to the one UBS account? The plea agreement does not address that question. We have another plea in the UBS mess. One John McCarthy has pled. In this blog and some subsequent blogs, I discuss a few points from the plea that I think are interesting. 1. Most importantly for those with foreign accounts who are considering joining the voluntary disclosure program, in announcing the plea, the IRS CI Chief cautioned that the McCarthy prosecution is "the tip of the iceberg." The IRS already has a number of names from UBS and is about to get many thousands more UBS names. Moreover, as I have previously noted, the Swiss justifications under the Swiss-U.S. double tax treaty would seem to permit similar disclosures by other Swiss banks. And, of course, the problem is not just a Swiss problem. All undeclared foreign bank accounts create great risk. I think it would be imprudent to assume that this is a Switzerland only or UBS only initiative. 2. The plea is in the Central District of California rather than in Florida which has been the center of DOJ's juggernaut against UBS, at least in terms of public activity. I speculate that this is an attempt by the Government to disperse these cases for even greater publicity and perhaps logistical reasons of just processing the number of defendants that will ultimately be involved. The current round of cases all appear to arise from the disclosures UBS made earlier in February. So, with these disclosures, the IRS and DOJ Tax can deliver up to a local U.S. Attorney office a package sufficient to coax an easy and relatively quick plea from the target, soon to be defendant. Indeed, I would not be surprised if DOJ Tax is not wanting to get as many pleas as quickly as possible to bolster the voluntary disclosure initiative and therefore may be making plea deals now that will not be available later. (1) defendant must have had a financial interest in, or signature or other authority over, a financial account in a foreign country with an aggregate value of more than $10, 000 at any time during 2004; (2) defendant must have failed to file, with the Department of Treasury, a Report of Foreign Bank and Financial Accounts (Form TD F 90-22. 1 "FBAR") , for the calendar year 2004, on or before June 30, 2005; and, (3) in failing to file the FBAR for 2004, defendant must have acted willfully. 4. In this context involving legal source income, the FBAR serves as a complement to the income tax system by encouraging taxpayers to report income from the foreign accounts. Not surprisingly, McCarthy's conduct implicates several tax crimes (evasion § 7201, tax perjury § 7206(1), probably tax obstruction § 7212(a), and others), as well as FBAR failure to file crimes for other years. McCarthy thus agreed to pay the civil tax fraud penalty on his income understatements (civil tax fraud is the same as tax evasion with a lower clear and convincing burden of proof) and admitted he had willfully failed to file the FBAR for his UBS Swiss bank accounts during the years from 2003 through 2008 (meaning, I think, for the tax years 2002 through 2007). These uncharged crimes will undoubtedly be considered at sentencing, but I will address sentencing in a later blog. I should note, however, at this point that uncharged or dropped counts as a result of a plea bargain often does not affect sentencing at all. 5. The maximum period of incarceration for the count of conviction (FBAR failure to file) is 5 years. The fine can be up to the greater of $250,000 or twice the gross gain or loss resulting from the offense. Id. In the prior pleas that I have discussed in this blog, the plea was to one count of tax perjury (§ 7206(1)) which carried a maximum period of incarceration of 3 years. Facially, therefore, the McCarthy plea carries the risk of a longer sentence (5 years rather than 3). The sentence will actually be governed by the sentencing court using the § 3553(a) factors and considering the Guidelines calculations. I will talk about these sentencing considerations in a subsequent blog, but for now I just want to emphasize that this plea ups the incarceration ante. Whether the potential for a 5 year sentence term as opposed to a 3 year term is material, of course, depends upon the sentencing factors. I shall cover them in the next blog. I focus on the legal construct that the Swiss will reportedly use to justify the limited disclosures under the exchange of information provision of the U.S. / Switzerland treaty. Switzerland has long distinguished between tax evasion and tax fraud which in U.S. law are synonymous terms. Under Swiss law as interpreted (it's all about interpretation), tax evasion is not criminalized in Switzerland, but tax fraud is. I don't know the precise distinction between the two in Swiss law, but gather that tax fraud (crime) is some egregious form of tax evasion (otherwise civil). The egregious form involves more affirmative steps to hide, evade and deceive. So, looking at the speculated shape of the settlement, if the depositor was an ordinary tax cheat setting up a directly owned UBS account, his name and account will not be disclosed, but if the depositor injected gossamer entity structures to further obscure, his name and account will be disclosed. Apparently, Switzerland will now interpret the latter more egregious conduct as tax fraud, permitting it to disclose at the request of the United States. If, indeed, this is a reinterpretation of Swiss law and mutual assistance treaties (or provisions of treaties), then the reinterpretation would logically apply not just to UBS but to all Swiss financial institutions. Some other Swiss financial institutions have apparently claimed that they are not like UBS (smaller and did not exploit their enablement activity on U.S. soil) and thus that their U.S. depositors' accounts will not be disclosed. (See the allegations in the Jeff Chernick indictment discussed here.) I am not sure that level of assurance can be given where entities are part of the structuring for the account. And, I expect that the IRS may be licking its chops to make the requests for mutual assistance with respect to other Swiss financial institutions. From a longer perspective, it seems to me that the dam is breached. It may take a few years, but Switzerland will have to give up its lucrative status as enablers for U.S. and probably other country tax evasion (in the U.S. sense of the word). Tax evasion, of course, is not the only reason that the Swiss find it in their financial interests to assure secrecy for depositors. Secrecy is important for all sorts of rogues and scoundrels even when they are not evading tax. But perhaps this too is now at risk, which means that at least for a time the "smart" money of rogues, scoundrels and tax evades may be to seek other havens and enablers. Finally, I do not mean to indict figuratively all non-Swiss depositors to Swiss bank accounts. There are undoubtedly many Swiss depositors who are not rogues, scoundrels or tax cheats and simply have or imagine that they have legitimate reasons to establish Swiss financial accounts which, in their minds, justify paying the Swiss the premiums for whatever they imagine the Swiss bank system offers them. But when, piece by piece, the rogues, scoundrels and tax cheats are stripped out of the Swiss financial system, I have no doubt that the Swiss financial system will survive but the heady days of excess profits from premiums for services to rogues, scoundrels and tax cheats may be over. 1. The IRS plans to issue future guidance further refining the FBAR filing requirements for (i) persons with no financial interest in a foreign financial account but with signature or other authority over the foreign financial account, and (ii) persons with a financial interest in, or signature authority over, a foreign financial account in which the assets are held in a commingled fund. 2. In the meantime, pending such future instruction, persons in these categories have until June 30, 2010, to file an FBAR for 2008 and earlier calendar years. 3. The relief provided seems to pre-empt criminal prosecution or even civil penalties for those relying on the relief (which is an extension of the due date for filing thus meaning that, provided they file, they have complied with the FBAR requirements), although there is no express statement to that effect. Thus, there would be no requirement that these persons join the voluntary disclosure program. 4. The extended date is the same date that the 2009 FBAR is due. The relief thus presents an opportunity to prepare 2009 and back years as a package. In my recent blog on the Jeff Chernick Guilty plea here, I said, in effect, that Chernick and the Government were playing games with Chernick’s Sentencing Guidelines Calculations. I would like to explore further that issue further by stepping through the relevant Guidelines calculations. Under Booker, of course, the Guidelines are advisory rather than controlling; they must be considered, however, and, in most sentencings since Booker, the Guidelines have been the principal determinant in setting sentences. (Tomko may be seen as an aberration – an important one – in the pattern of still hewing to the Guidelines’ advisory range). So, with that said, let’s calculate the Guidelines range for Chernick. 1. I start first with the plea agreement to a single 3 year count of conviction for § 7206(1). Plea to a single 3 year count caps the possible Guidelines sentence at 3 years. It simply makes no difference whether the Guidelines calculations produces a greater sentence than 3 years; it is capped at three years. I discussed this phenomenon in an earlier article involving the plea by the infamous Andy Fastow of Enron fame back when the Guidelines were mandatory and would have generated a sentence well exceeding 20 years; Fastow capped his possible sentence at 10 years by pleading to only 2 five year counts. John A. Townsend, Analysis of the Fastow Plea Agreements, 2004 TNT 44-46 (3/5/2004). a. Tax Loss: The relevant amount of actual, probable, or intended tax loss under Section 2T1.1 of the Sentencing Guidelines resulting from the offense committed in this case and all relevant conduct is the tax loss associated with accounts at UBS that were disclosed to the Government pursuant to the Deferred Prosecution Agreement with UBS, and of which the defendant was the beneficial owner for tax years 2001 through 2007. Note what that this agreement constricts possible tax loss in two ways: (1) it limits the tax loss to the tax loss associated with the UBS accounts disclosed to the Government and (2) it limits the tax loss to the years 2001 through 2007. As I noted in my earlier discussion of the Chernick plea, both of these limitations are improper. The tax loss is “the total amount of loss that was the object of the offense.” “‘Offense’ means the offense of conviction and all relevant conduct under §1B1.3.” SG § 1B1.1, Appolication Notes (H). Relevant conduct includes conduct which would require grouping (suffice it now to say that all tax crimes would require grouping) “that were part of the same course of conduct or common scheme or plan as the offense of conviction.” In this case, under the Statement of Facts entered along with the guilty plea, Chernick admitted a course of conduct from 1981 forward involving (a) depositing income into foreign bank accounts which he failed to report and pay U.S. tax and (b) earning income on or with respect to those deposits which he failed to report and pay tax. That is precisely the conduct he admitted guilt for the year of conviction. The time frame for the relevant conduct was thus 1981 through 2007 and includes all banks. Nevertheless, the Government and Chernick attempt to limit the time frame to 2001-2007 and then only include the tax on the deposits into and earnings from the UBS accounts. Chernick admits in his Statement of Facts that, by 2005, the amount in his UBS account was $8 million. Since, under the pattern admitted, tax amounts would not have been deposited into the accounts, we may presume that these are untaxed amounts. Chernick admits further that, not all of his offshore assets connected with this scheme were in UBS. Around 2003, Chernick moved some portion of his UBS assets to another smaller Swiss Bank with no U.S. presence in order to avoid detection in the U.S. How much was moved is not stated, but that should be easily quantifiable given that this conduct was relatively recent. Chernick also admitted that he typically withdrew some $300,000 + per year that was then deposited into his U.S. corporate account. It is unclear whether he reported this amount on the U.S. corporate return, so it is unclear whether these amounts have been taxed. I thus, cannot assume for present purposes that these withdrawn amounts should enter the tax loss calculation. (Timing differences are effectively included by including the earnings on the previously untaxed amounts.) Finally, he did send $700,000 in the U.S. by sham loan in 2004, so this amount would not be on deposit in UBS or any foreign bank, so there is another $700,000 in untaxed income (as well as the relatively minor amount of taxes due on the interest deductions he claimed on the sham loan. So it appears that, on the amounts stipulated, there was at least $8.7 million of untaxed income over all the years. If the offense involved filing a tax return in which gross income was underreported, the tax loss shall be treated as equal to 28% of the unreported gross income (34% if the taxpayer is a corporation) plus 100% of any false credits claimed against tax, unless a more accurate determination of the tax loss can be made. So, based on what we know from the court filings, the tax loss can be calculated as.28 times $8.6 million, for a tax loss of$2.4 million (rounded down). The base offense level under the Tax Table is thus at least 22. I should note that some portion of the $8.7 million might well have been taxable at lesser capital gains rates, but under the foregoing presumption a court would require that the defendant show which portion in order to make that more accurate determination but it looks like the parties are now unwilling to delve into the pre-2001 years (that may change in the sentencing process). Moreover, under the Tax Table, the tax amount would have to drop by over $1,400,000 to lower the base offense level which I don’t think would be likely on the difference between the capital gains and presumed 28% ordinary income rate. So, in sum, we have a base offense level of 22. 3. An additional 2 levels are added because the parties stipulated that the offense involved sophisticated means. (That stipulation may also not be binding on the probation office or the court, but it is unimaginable that this 2 level increase does not apply.) So, we are now at level 24. 4. The parties stipulate to the 2 or 3 level acceptance of responsibility reduction under S.G. 3E1.1, so Chernick gets a 3 level reduction. So, we are now at level 21. 5. Chernick admits that he paid – or at least intended to pay – a bribe to a Swiss official for information about whether his accounts would be turned over pursuant to the U.S. Government’s full court press in 2007. This might be considered obstruction of justice which could justify a 2 level increase, but there are not enough facts known now to add that. Leave the offense level at 21. 6. Moving to the sentencing table (Ch. 5, Part A), the indicated sentencing range for offense level 21 at criminal history I is 37-46 months. Note that this indicated level could go up depending on whether additional amounts (deposits in other banks and cash brought back into the United States) are properly included in the tax loss amount, which would ripple down to a higher offense level for sentencing. 7. The low end of the indicated range thus exceeds the maximum incarceration for the sole 3 year count of conviction. These calculations assume, of course, that the tax loss calculations include all relevant conduct. In the plea agreement, the Government agreed “to recommend that the defendant be sentenced at the low end of the guideline range, as that range is determined by the court.” Either the Government was making the defendant a meaningless promise or, more likely as indicated above, it was willing to ignore tax loss amounts clearly and relatively easily includible and even required by the Guidelines. Maybe the Government is playing that game. However one may view the propriety of the Guidelines, I don’t think that type of game playing speaks well for the Government. At a minimum, the Government should tell the probation office and court when it is playing that game.